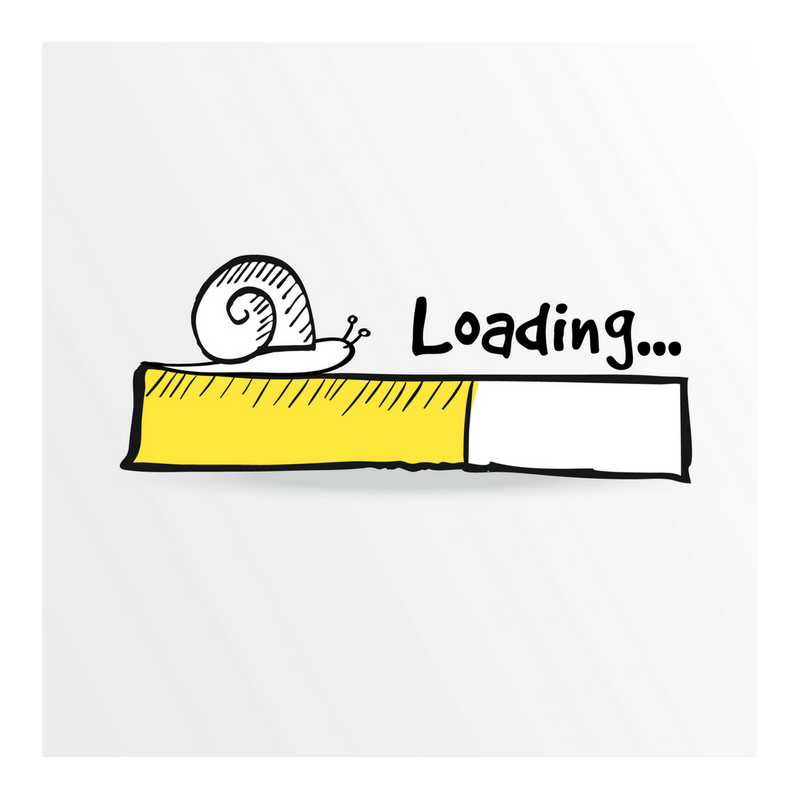 Home » Websites Blogs » Why is My Website Slow? Why is My Website Slow? ‘Slow and steady’ certainly doesn’t win the race for websites. If you have a slow website, you could be losing customers, conversions and ROI (return on investment). If you’re asking yourself, ‘why is my website slow’ you need to address the possible reasons why. Imagine the hours wasted; developers and content writers spending hours dedicated to producing an engaging optimised website for visitors to become impatient with your loading time. It’s an unfortunate reality that customers may not even look around your website if it’s too slow. 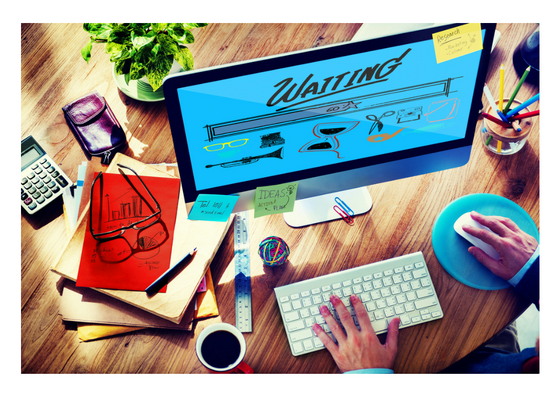 Did you know 40 percent of visitors will leave the website if the loading process takes more than 3 seconds? Loading times are a huge factor of your website’s success or failure, if your page doesn’t load fast enough visitors will leave and visit a competitor’s site. If you want your money to be well spent developing, designing and creating your website; then you need to need your website to be fast. In a nut shell … slow website = unhappy visitors. As a business, you’ll want loyal customers who can vouch for your credibility and will continue to use your services as opposed to those of a competitor. Websites are all about giving users the best experience, and with that comes the need for speedy loading times. But before we discuss how to get your website up-to-speed, you need to know what could be cause of horrific loading times! We recommend testing the speed of your website to begin with, so you have statistics to compare. We can do this for you, simply contact us. Alternatively, run your own speed test here. Have You Optimized Your Images? One of the biggest causes of slow websites is unoptimized images. If you have a large amount of them, you can expect your website to be even slower. Unoptimized images is a simple yet critical mistake. Full size image can take a surprising amount of time to load; hence why images need to be optimized by resizing. As you can image, unoptimized videos take even longer to load. Animated websites, with graphics, games, short videos and cartoons, offer more interactivity for users. Whilst Flash can contribute to a positive user experience; it does have a significant downside. Flash is a nice addition to websites; but it isn’t really needed. If you insist on using Flash to enhance your website, use it in moderation and only where it’s needed. Another downside; Flash isn’t entirely integrated for mobile use. It’s worth noting that a lot of website traffic will consequently influence consumer’s loading speeds. It’s like being in an online queue; the more people waiting to be served the slower the process is for everyone. Are Plug-ins Causing a Problem? ‘Why is my website slow’ is most commonly answered by out-of-date plugins. You’ve probably got a whole load of plugins running in the background serving different purposes. For those of you who don’t know, a plug-in is simply a piece of software that can enable an application / programme to complete a task that is couldn’t do alone. For example, Adobe Flash player. Without Adobe Flash you might not be able to display multimedia content or streaming, for instance. How Many Redirects Do You Have? A redirect basically sends users to a different URL (website link / address) than they clicked on. Users have to load a page twice; which can take twice the loading time. Your CMS, content management system, like WordPress and Wix, need to be kept on top of. It’s like anything, if it’s out-of-date you start to run in to problems which can cause a longer loading time for your audience. Why is My Website Slow – Are You Noticing a Pattern? You’ve probably sensed a theme; large images, large flash use, larger traffic, large distance and large amount of plug-ins is the key for a slow site. Keep an eye-out for our next blog post where we’ll be telling you exactly how to improve the speed of your website. Different Gravy Digital can help get your website up-to-speed. Why not check out our Digital Marketing Terms Glossary?